I'm new to trolling with ballyhoo and my rigging skills are definitely subpar. It seems like it would be faster and easier to use a beaded chain rig method but with mono or wire instead of buying for a beaded chain at a few bucks a pop. This way you just crimp a hook and swivel on a leader, throw it on a bait needle, insert the needle in the vent, run it up through the gill or mouth, then use copper wire to close the mouth and pull on the head). Plus you can put the hook further back to prevent short strikes. But pin rigs are way more popular so I'm guessing there is some downside to this style that I'm not seeing. So why don't most people rig baits this way? I sometimes use beaded chain rigs with small Ballyhoo, I think I'm reading that you are wondering why not eliminate the chain and go straight mono. The reason I like the chain is it leaves the hook loose and pulls the bait from the beak . You could probably do a split bill rig and the wire would hold the mono tight enough not to slip, I don't know. I do know if you pull from the hook it will spin like crazy and run every fish that comes into your spread off. I crimp a small loop in my rigs and use a Billy Bait type Witch( big hole ) that I can slid on after the bait is rigged. Last edited by Ken T; 02-23-2019 at 09:50 AM. Rigging a Ballyhoo with a properly designed Pin Rig is very easy. There's no reason to play with beaded chains anymore. jg125, gatorbait154, bropride96 and 1 others like this. I use pin rigs +95% of the time, although I cant remember breaking one off because of the chain. 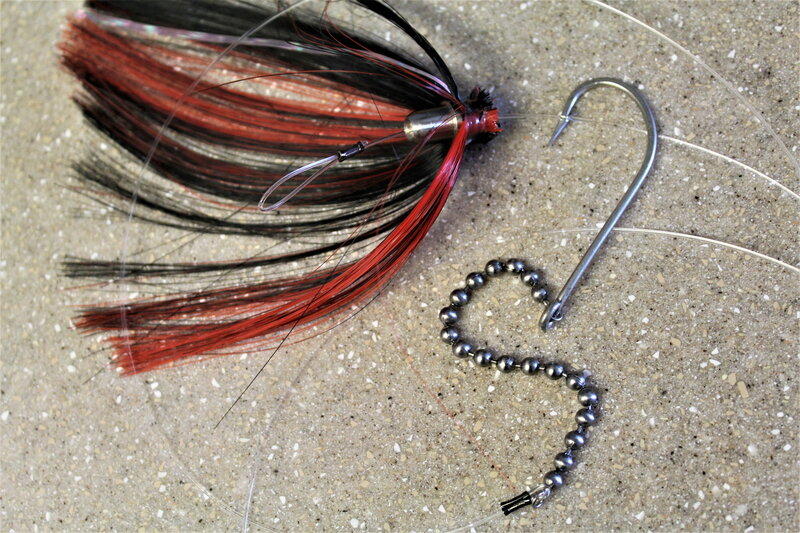 The bead chain is an effective way to get the hook farther back in the ballyhoo preventing short strikes. I have seen them break before from a wahoo bite. 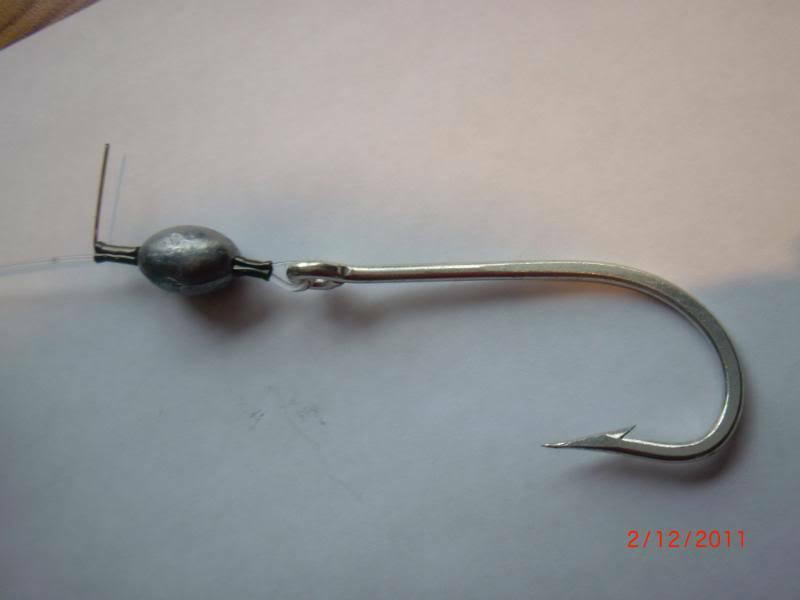 A pin rig with a long haywire twist accomplishes the same thing but takes a little more know how. I'm sure chain rigs have failed , I just checked 3, 2 that have never been used and 1 that has been used a lot with drag scales, pulled 50 pounds twice on each rig and see no affects. I'm sure I had done it before as I do all my first time rigs but couldn't remember. I sometime rig them for pitch baits on spinning tackle when Dolphin fishing and flat line skip baits. They are no faster to rig than a pin rig, I never fish them as a swim bait and never pull with more than 10 pounds of drag, my Dink bait rods are set at 6 pounds. They work for me. With this method you still have to then connect your leader to your line, which is an extra and unnecessary step IMO. It will always be quicker to run the hook down from the gill area and not have to connect the leader every time, unless you have prerigged a bunch of leaders and baits, in which case it doesn't really matter which method you use to rig the ballyhoo since you are doing it beforehand.